A brotherhood forged through suffering. Daren and I before the race began. You see, Daren and I go way back. 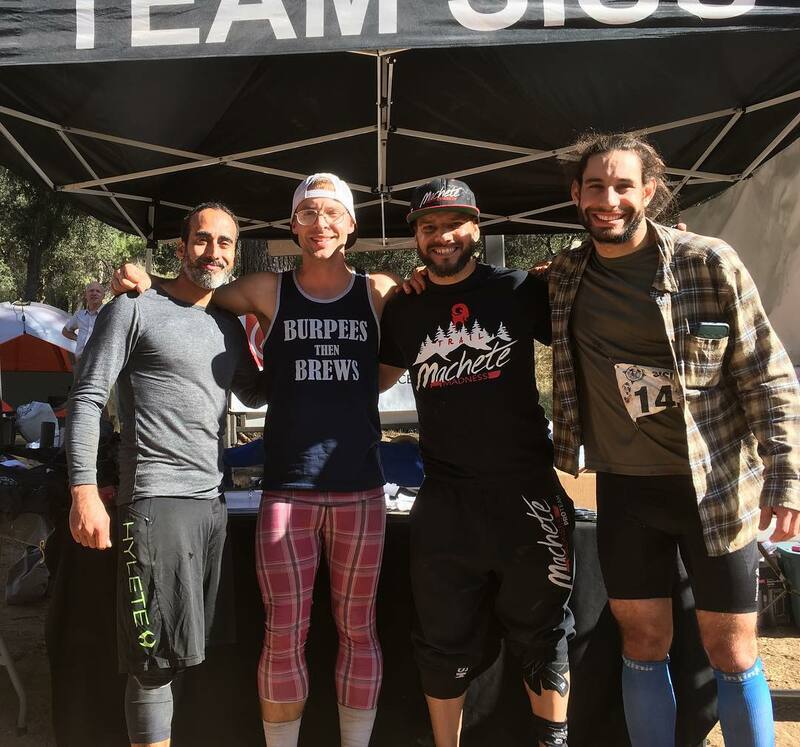 We first met online but where we first truly connected was during the 2012 Death Race, as a part of Team Tire. After suffering for more than 18 hours together during the treacherous hike through bloodroot with the 400-500 lb tractor tire, we bonded through suffering. Together we experienced what we now, years later, refer to as the good ol’ days of Death Race. It’s been a long time since I have been as excited about doing a race as I was this weekend. You see, earlier this year I gave cycling, specifically road biking a try, and while I enjoyed the challenge of it all, but when it came to doing endurance cycling, I didn’t find it nearly as fun as the endurance events I’ve come to know and love. 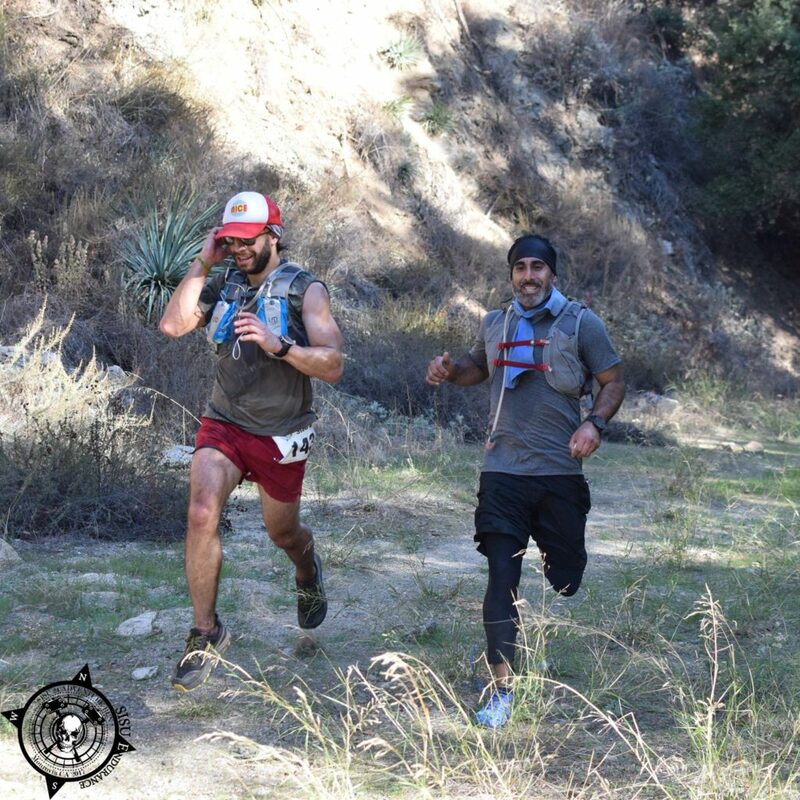 Ultra-Marathons, Obstacle Course Races, Adventure Runs, and Endurance Races, they all challenge in unique ways that I gravitate toward. When it comes to riding a bicycle for 200+ miles? It just became a bit monotonous to me. Again, I am in no way knocking it, it’s my favorite mode of transportation. The Seattle to Portland – STP bike ride, was a great challenge and helped me explore a new field of endurance, but it also reminded me of my one true love. Foot races, especially the ones that involve climbing mountains, and solving puzzles. Those, are my jam. So here I am signed up for a 24-hour Adventure Run that’s hosted by a group of Death Racers that I used to play around in the woods of Vermont with. The excitement that built up during the days leading up to the event was joined by a wave of nerves and emotion. 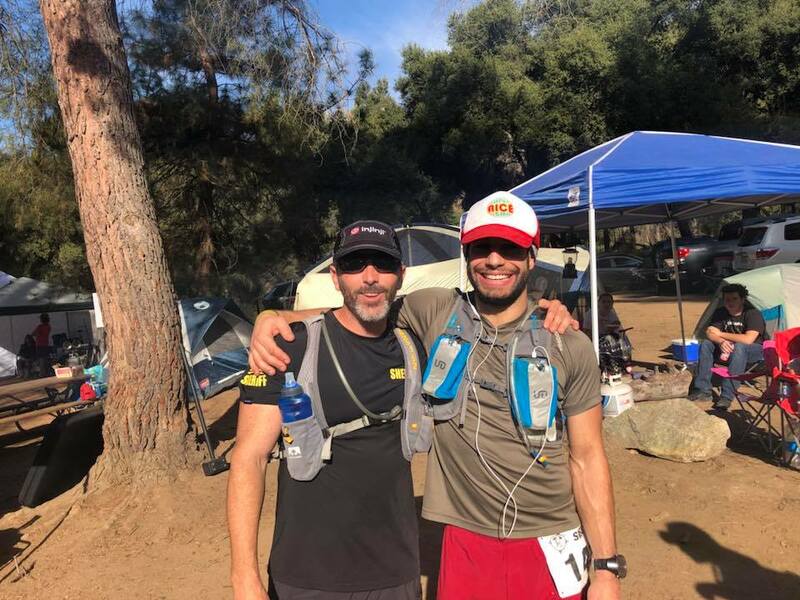 A few weeks or so before the event, maybe even a month out, Daren and Dave Lokey, the Race Director for the event, reached out to me and told me about a friend of Team SISU – an endurance group on Facebook that sits as the originator of SISU Endurance – who was in a motorcycle accident. My friends asked me if I could run in Seth’s honor and as a fundraiser to help aid him in his recovery through these hard times. Without hesitation, I was 100% in. I couldn’t be happier than to have this new motivation to raise money for a friend of the SISU family. When I first reach out to Daren, I already had my “why”. Simply put, I wanted to hang out with my Death Race family, I wanted to celebrate my birthday in California, and I wanted to challenge myself. On top of all that, I now had an even stronger “WHY”; I had someone who I could directly help and effect by giving this event all I’ve got. Of course, that meant training had to be on point. Thankfully, I had already started training with a coach for the first time in a very long time just before I embarked on this journey. When I returned from Atlanta, GA for a work function I began my training regimen. I’ve tracked everything I’ve done since October 12, 2017, until now on a Google Sheet that you can view here. I attribute much of my good fortune at the SISU 24 to this training regimen and my virtual coach, Johann Warnholtz of Run, Wander, Wonder. Throughout the process, he kept me accountable, tweaked my workouts as needed, and taught me a lot more about heart rate training. Between training and my coach, and the deep desire within to help a friend of the SISU family, there was no way I could fail. In fact, I was certain I had a shot going into this event of having a shot at placing in the top three. Fast forward to the end of the 24-hour adventure run and I found myself in fourth place. How’d I get there? By running just over 72 miles with over 17k+ feet of elevation gain. I missed out on third place by two points. 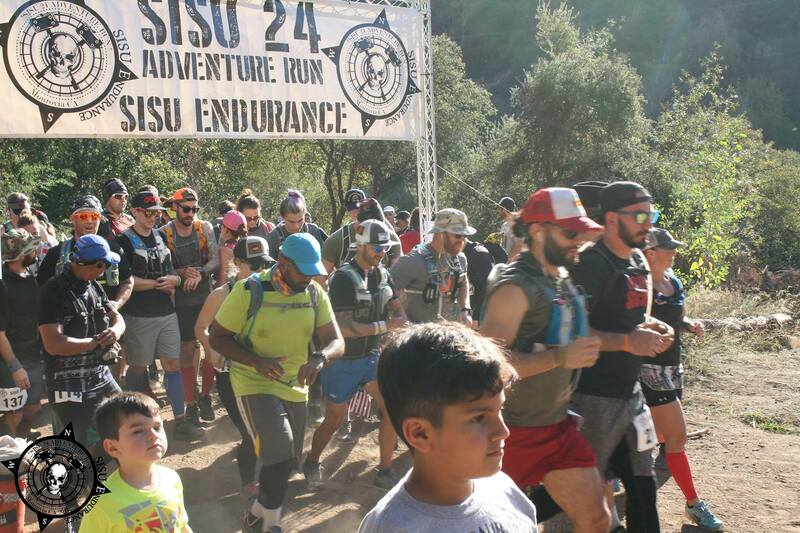 At the SISU 24, you earned points by completing various trail loops and collecting stamps on an index card, or if you failed to bring it with you, on your bib. I forgot my index card not once, but twice. My transitions were nowhere near as smooth as I’d have liked. Thankfully, a lot of people helped me out. Most notably was Meg Ramirez who was there as the Staff photographer and my Social Media guru. She killed it capturing some raw moments. Thanks, Meg! All in all, we have raised over $3,500 for Seth and we’re still taking donations either per mile or as a flat donation. Visit this page to pledge a donation and you’ll be contacted with details how to donate. It’s pretty amazing how quickly this community has come together to help Seth and I cannot thank everyone enough for taking a gamble on how many miles I would run and for giving a little something to help a friend in need. It truly tis’ the season for giving and helping, and so many of you have delivered. As for the run, well. What can I say, I don’t want to bore you with too many details, so here are some bullet points. Having a good transition plan is immensely helpful. Eating real food is always better than eating gels, chews, and sugar. Though I know this I still fail to practice it. I’m reading two books about the Ketogenic Diet, The Ketogenic Diet for Athletes and The Art and Science of Low Carbohydrate Performance, to see if its something that will make sense for the Georgia Death Race in March. Chicken Noodle soup at whatever-o’clock in the morning is an amazing pick-me-up. So are pickles….and pickle juice. Thank you, Chris, for hooking me up when I was desperately looking for pickles in the middle of the night. In this race, it’s important to do all the bonuses if you want a shot at winning. Speaking of bonuses, don’t break your egg, it cost me a top three finish. Overlook trail is the most fun loop and probably the best one for my running style. Don’t aimlessly follow flags and read park signs. I got lost going to Overlook and assuming I would have had the fastest time on that loop had I not gotten lost would have moved me into a top three position. Though I’ve been on this endurance journey since 2011, I’m still discovering how far I can push myself to go beyond my own perceived limits. I should have set my Suunto Ambit 3 Peak GPS watch to trekking or similar instead of running to make it last the entire 24 hours. Listening to Starlord’s Awesome Mix Vol. 1 & 2 while climbing up to the Tower of Power and singing as if no one is there is the best late night pick me up. Yoga keeps my body in check, the number one thing I did for training wasn’t running, it was yoga. Hot Hatha, Hot Vinyasa, and Yin, 2-3x per week. I did yoga the night before, I did yoga during and did yoga under the stars on the saddle of a mountain and it helped my body to withstand all the effort I put into my workouts and runs. Trail Toes is unequivocally the best lubrication agent for preventing chaffing and blisters. Injinji socks combined with Trail Toes remains to be the perfect recipe for happy feet. In all the years I’ve combined these two I’ve avoided blisters whether it’s a 24-hour adventure race or 60+ hours Death Race. Altra shoes are Ultra awesome. 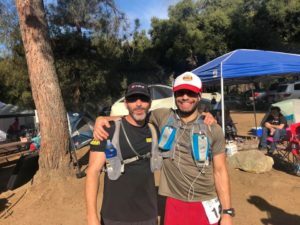 During the SISU 24, I ran the first 35+ miles in the Altra Lone Peak 3.0 (which is rated as a medium cushion zero drop shoe) and the last bit in the Altra Timp (which is rated as a high cushion zero drop shoe). Both made it feel like I was floating on air and with the foot-shaped toe box, gave my hobbit feet all the room they need so I can run naturally. Review of both pairs of shoes coming soon. And finally, this community is one of the best communities I’ve ever encountered. Keep being awesome. I love all of you. 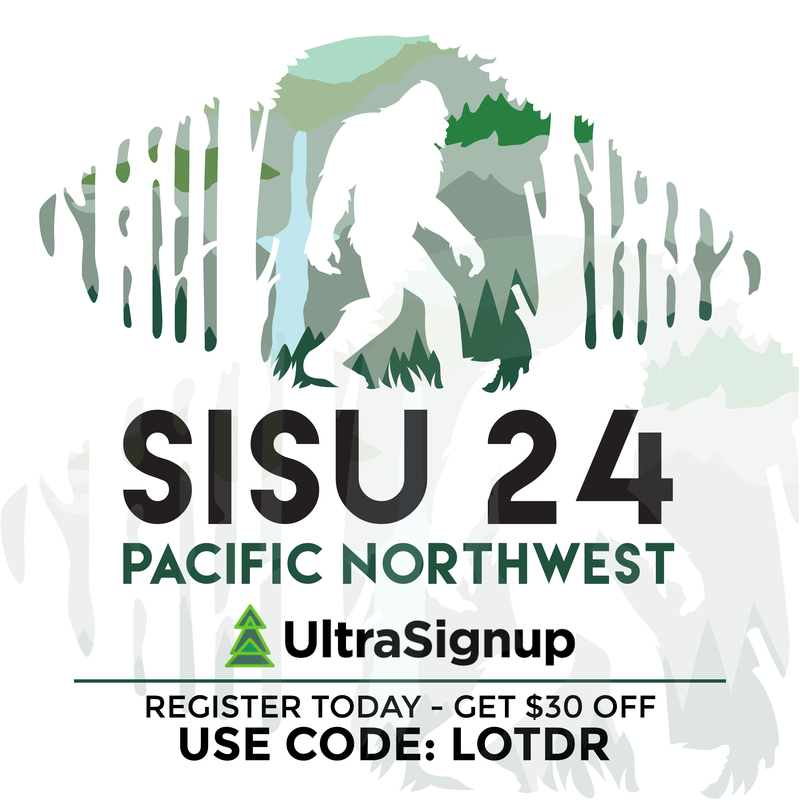 I’m already signing up for the 2018 SISU 24 and I cannot wait to see what kind of competition will show up. This race is certainly one I want to continue to participate in for as long as my body will allow me. So, if you want to have some fun in the sun, I challenge you to come join me next December, let’s go for a run. UPDATE: I was unable to compete this year at the 2018 SISU 24 in Monrovia because I finally had the torn labrum in my right hip repaired. Don’t you worry, I’ll be back soon enough. In the meantime, I’m hard at work bringing this race to my backyard in the Pacific Northwest. So if you’re looking for something fun, come join us.